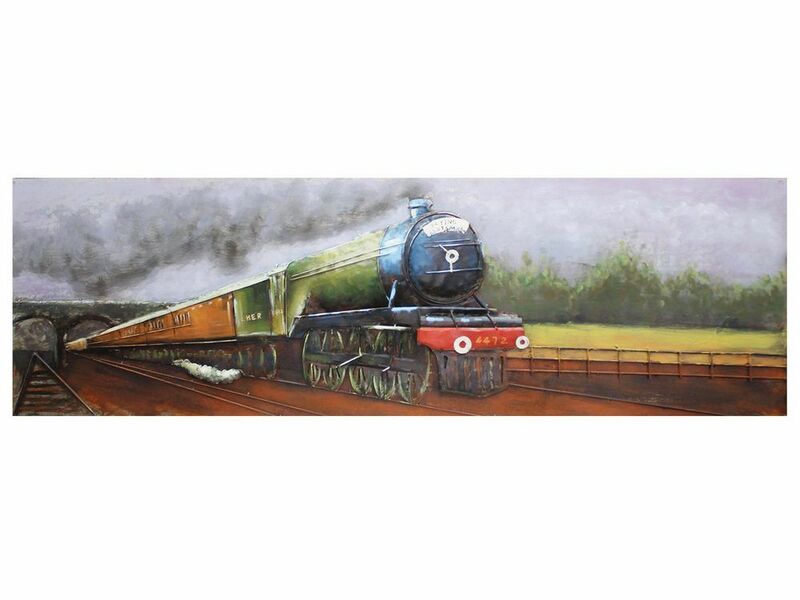 A tribute to man's industrial invention, this steam train metal wall art has a powerful sense of movement and freedom. Shown powering through the countryside, this vintage style steam train wall hanging evokes bygone days of travel. A fantastic way to bring character to rooms, this steam train metal wall hanging is a colourful and vibrant piece of artwork that gives a wonderful sense of nostalgia.